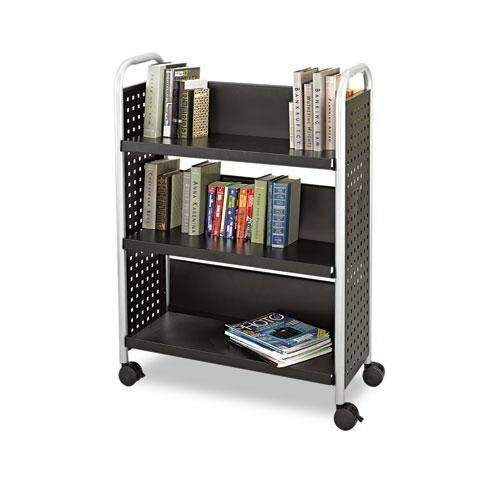 A contemporary look in a book cart. All-steel with durable powder-coat finish. Oversized casters for easy maneuverability.